The Reserve Bank of India (RBI) last week cut its policy rate by 25 basis points from 6.5 percent to 6.25 percent. It also changed its policy stance back to "neutral" from "calibrated tightening". While the Monetary Policy Committee voted unanimously in favour of changing the stance, the rate cut decision was voted against by two of the six members of the committee. Most economists and market watchers did not expect a rate cut as well. In support of the monetary easing, RBI noted that retail inflation, measured by y-o-y change in the CPI, declined from 3.4 percent in October to 2.2 percent in December. With regards to economic growth, it pointed out to the Central Statistics Office's GDP growth estimate of 7.2 percent for 2018-19. Besides these two factors, nervousness in the non-banking financial companies is probably another major issue that the central bank took into account while going for the unexpected rate cut. No doubt, the central bank's arguments hold water. While some critics have termed the monetary easing as a continuation of the government's election strategy, the fact cannot be denied that at a time when inflation is downward significantly, the shift of focus to growth is definitely welcome. The rate cut decision, along with relaxation of lending norms for well-rated NBFCs and lifting of lending curbs on three public sector banks, will help increase flow of funds to the industry. Industry bodies have welcomed the rate cut with open arms. We believe that the cut of 25 basis points will be followed up with more such measures in the subsequent months, said FICCI. 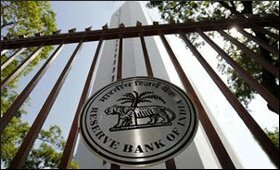 In a similar tone, exporter's association FIEO has viewed that the lowering of the Repo rate -- at a time when flow of credit to the MSME sector of exports is at its lowest -- will help banks across the country bring down their lending rate for the businesses, giving boost both to manufacturing and exports.